It has been a year since our last family photo was taken on Thanksgiving Day, 2014. It has been a year since I sat with my sweet girl curled into my lap, looking at all those beautiful lights on the Christmas tree. It’s been eleven months since she took her last breath. It’s been eleven months since I heard her hum or saw her smile. As we sat with my best friend’s family two days ago sharing a traditional Thanksgiving feast with ALL the trimmings, I looked around the table at some of the most important people in my world. There was laughter and so much joy as we passed bowl and platter overflowing with food cooked with love. They made it easy to face the day we dreaded a year ago. A day when our daughter would no longer be sitting with us at the Thanksgiving table. Yet, Courtney was right in the middle of it all. Her presence was strong in the midst of our meal. She blessed us continuously as we laughed and shared our hearts. Last year we ordered our dinner from a local grocery store and it tasted like sawdust. Everything back then tasted like sawdust. My daughter was dying and I did not give a rip what was for dinner let alone who cooked it. My beautiful daughter is now with God. She sits at the Lord’s table enjoying a never ending feast. I can only imagine how happy she is to be there, to be forever in the presence of the One who loves her most. I have such a sense of peace when I think of her most days. She is where Our Lord needs her to be now that her job here is done. 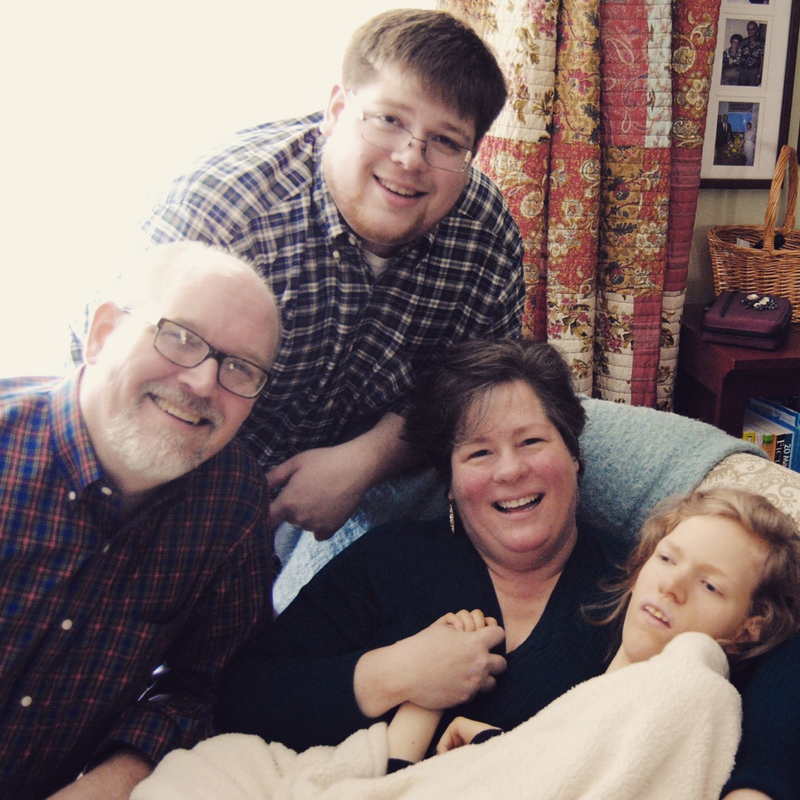 She has left behind a tremendous legacy of love and joy. She taught me about grace, strength and about suffering with hope. It has been a year since I decorated my house so my daughter could take her final fill of her favorite lights, sounds and smells. Yesterday, I lit a Peppermint Bark candle and when I caught my first whiff, tears fell. I know that where she is smells so much better than a candle ever could but for a moment, I just wanted her back. It’s OK to not be OK. I am fine one moment and then in another the always present struggle with grief returns. I am much more comfortable with it now. I recognize that this is how it will be for the rest of my life. It’s a burden that I am willing to carry, that I carry with joy. Anything for my children, living or dead. Today Jerry and I chose a small wreath for Courtney’s grave. We will place it on her stone tomorrow after Mass. It’s simple and sweet, like Courtney. I didn’t cry. I smiled as I thought of her sweet smile knowing that I made sure there was no glitter on it. That’s her Mama’s thing not hers. So much has changed in the last eleven months. So much. If you told me how it would all unfold last year, I would never have believed you. The three of us, each with new jobs, new beginnings, moving forward in faith all while carrying our sweet Courtney’s memory tucked deep into our hearts. Our daily life looks nothing like it did eleven months ago. It’s not supposed to. Most days, I feel relieved. Yes, I actually said it. I feel relieved. Courtney is safe and free and whole. No more pain. No more fear. No more seizures. No more discomfort of any kind. All she knows is the ultimate love and pure joy. I know Jerry and Jonathan reached this point much sooner than I but we all grieve differently and that is OK. The grief will never completely leave. When one has loved until it hurts, that’s not something that will ever go away. The more love, the stronger the grief. My email has overflowed the past few weeks with requests on how people can help us this year, now that our girl is home with God. I thought I would take a second and address it. It’s your prayers we covet most. Truly, they keep us afloat. Yes, there is still debt to pay off. Yes, we are still working on paying that off and will be for the next three to four years. God has provided beautifully for our family, both while Courtney was alive and since she has gone home to Him. The PayPal button to the upper left of the sidebar will remain open until the debt is paid off. If you wish to give in Courtney’s name, you have a way to do so. Everything will go to our debt. so much that it overwhelms me at times. Our life with Courtney was hard as hell BUT was incredibly blessed and absolutely amazing. Her story was written with a Divine pen and the next chapter continues to blow us away. team, my Courtney and me. We still are and I thank God every day for that. "The more love, the stronger the grief." Yes. I just love you, Mary. Big hugs, Mary. Continued prayers for you all! God bless you, Mary! Praying for you and your family. 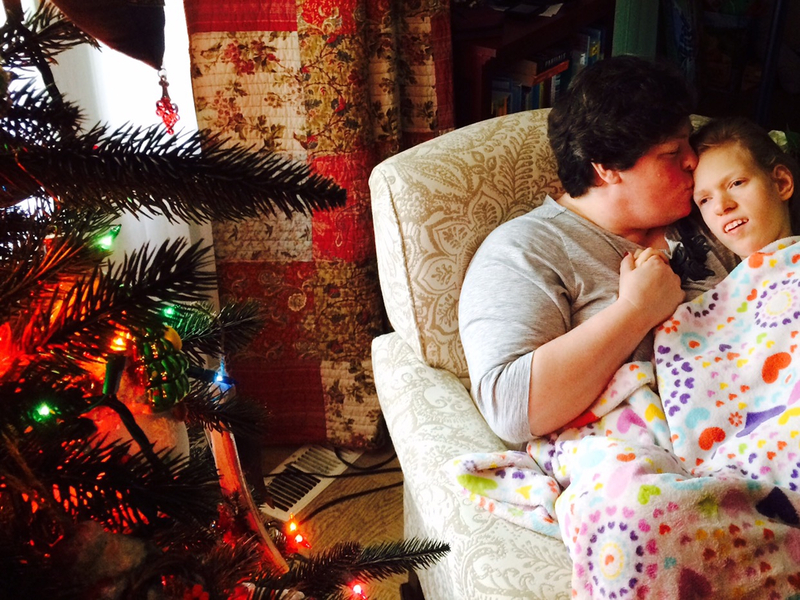 Thank you for sharing your beautiful story of family love.